So begins a recent Associated Press article about the discovery of a reportedly 4,000-year-old clay tablet from ancient Mesopotamia. This tablet pre-dates the famous Epic of Gilgamesh and goes on to describe the Ark as a round boat and two-thirds the size of a modern soccer field—something akin to a coracle, a primitive vessel that plied rivers in ancient Iraq. Is this possible? Coracles were well known in ancient Mesopotamia, and it’s easy to see how the author of the clay tablet would latch onto such a vessel to describe a real event passed down to him from earlier times. A coracle, however, was a flimsy ship made of interwoven sticks and animal skins, and covered in tar;2 hardly something that would survive the raging waters of the global Flood. Nobody knows the true shape of Noah’s Ark. 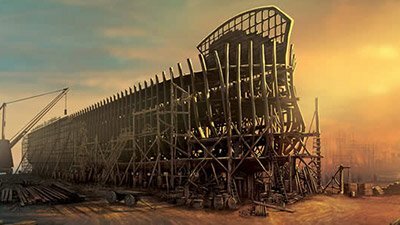 Genesis 6:15 , however, does give us the Ark’s proportions: “ The length of the ark shall be three hundred cubits, its width fifty cubits, and its height thirty cubits. ” These figures certainly show that it was not the round shape described in the Mesopotamian tablet. 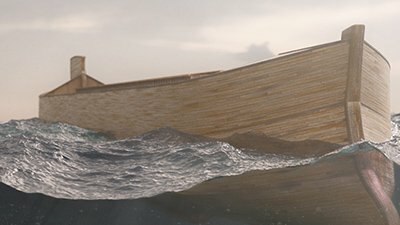 The book of Genesis records the same global Flood event, but the ship that saved Noah and his family was a massive structure, expertly engineered to ride out the pounding waves of the earth-changing, worldwide Flood that destroyed all mankind and millions of animals except for those on the Ark. 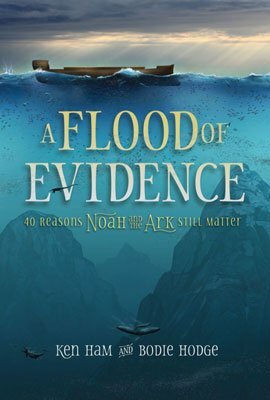 Which of the two Noah’s Arks sounds most plausible? The Flood was a real event etched into the memories of our ancestors. Over 270 cultures retain some version of the account, but only the Bible preserves an accurate telling of it. Help us build a full-scale Noah’s Ark! AiG is raising $29.5 million in donations for a wooden Ark, the centerpiece (and part of the first phase) of the whole multi-attraction complex! A finished Ark will be a great testimony to the historicity of the Bible and will proclaim the gospel. 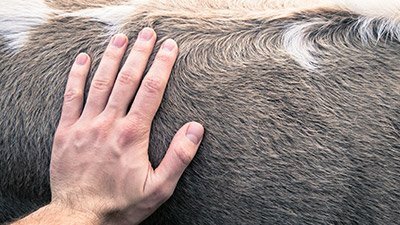 For an explanation of the funding of the entire Ark Encounter, go to ArkEncounter.com. Jill Lawless, “British Museum: Prototype for Noah’s Ark Was Round,” January 14, 2014, http://bigstory.ap.org/article/british-museum-prototype-noahs-ark-was-round.